If you’ve been curious about natural building and have been looking for a jump start, this is the course for you. Join us this October for an introductory Natural Building Weekend Workshop at our homestead just 15 minutes outside of Berea, Kentucky. This is an abbreviated version of our 5 day Essentials Workshop, perfect for folks who have limited time to take off from work. 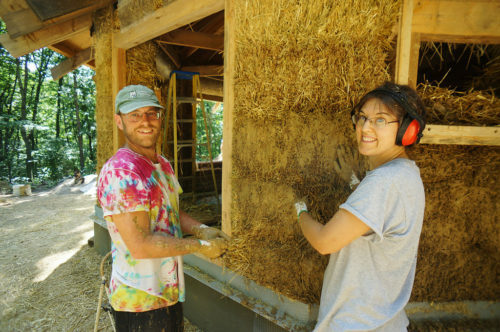 In this course, you’ll get hands-on experience playing with cob, building light clay straw walls, and mixing and applying various natural plasters. All meals and camping on-site are included!